Vista Del Mar two huge bedrooms and two bathrooms on 1,211 sq. 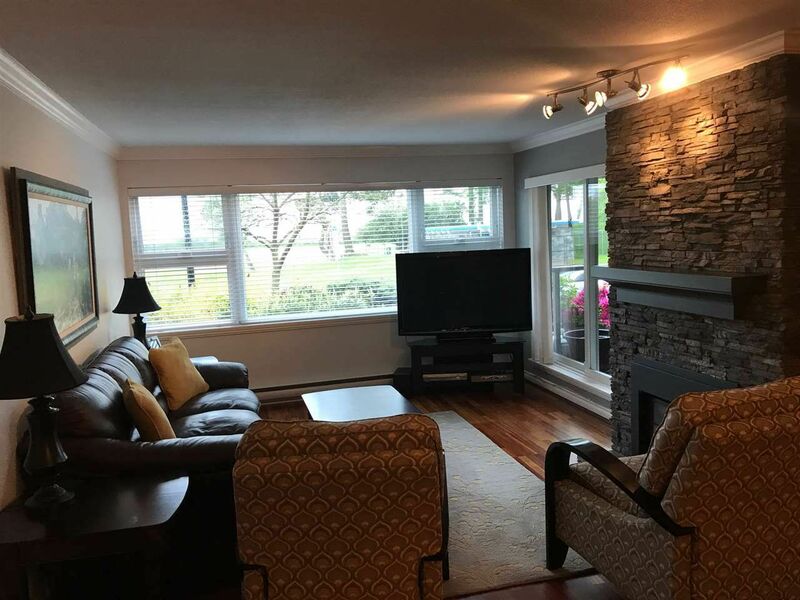 ft. main floor with ocean view Walk to White Rock Beach or Fish and chips at one of many top notch resturants 5 min from U.S. Border. Real Hardwood floors, Huge covered patio for BBQ'ing or enjoying the view. Kitchen has been renovated when hardwood floors were installed. Family building and one cat is the only pet allowed. The fire place heats the entire suite and gas is included in the maintence.